There are increasing expectations that the European Commission is likely to extend the existing safeguards on steel imports, at least until the US sanctions remain in place, market sources attending the Assofermet annual conference told S&P Global Platts on Friday. “The discussion about to extend or not the safeguards is of course still ongoing and still open, but the direction seems that they will be extended for the next three years,” Massimiliano Salini, EU MP for industry, research and energy, said that during the Assofermet conference, echoing reports from market sources. “Then we have to see the modality in which the safeguards will be put in place, but at the moment with the slowdown of the European economy that is showing problems to react and the fact that there is not a risk of steel supply shortage, this is likely to happen,” Salini said, adding that in the EU the safeguards are not generating an increase in prices as has happened in the US. “But the increase of the protectionism is not good for the market; the real aim is markets fully integrated,” he added. The safeguards were put in place in July to avoid the re-direction of steel import flows as a result of the US Section 232 tariff on steel imports. The decision whether to extend the safeguards will be taken by the end of the year, as confirmed by Leopoldo Rubinacci, EC director of trade and trade defense. He stressed the decision is still ongoing and that a dialogue from all the parties involved must take place. Trade restrictions in general are not good for the market in the long term as they can push prices higher, Riccardo Benso President of Assofermet said. 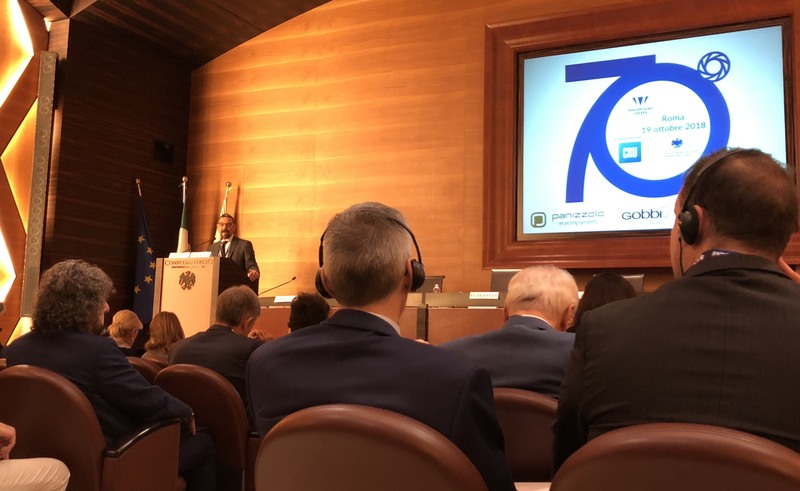 Tommaso Sandrini, president of Assofermet Acciai said steel end users should be part of the conversation in determining the best approach to take going forward. “There are 20 million workers in the sectors that use steel…We need to put together all the voices of the steel consuming businesses to bring collectively a sound proposal to European institutions that is beneficial for the whole value chain, not only for the mills,” he said.